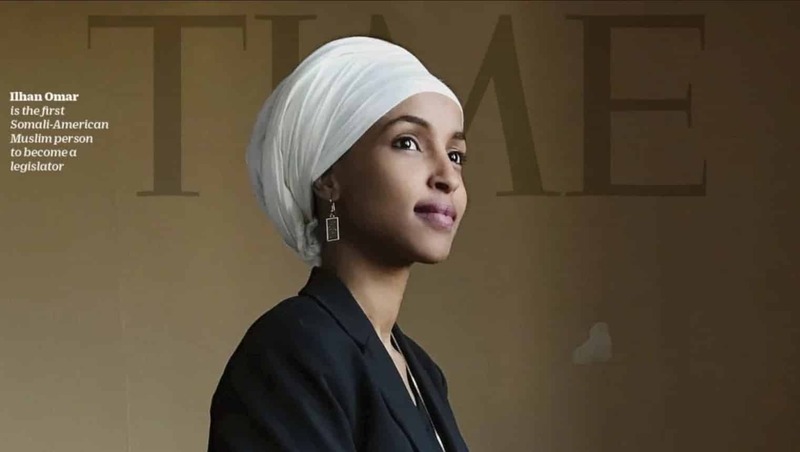 Omar responded by tweeting, “It’s all about the Benjamins baby.” When she was asked what she meant by that, she tweeted “AIPAC”, which is an overly powerful arm of the overly powerful Israel lobby, the American Israel Public Affairs Committee. Democratic House Majority leader Nancy Pelosi instantly attacked Omar for revealing the fact that American politicians are influenced by money derived through AIPAC! Pelosi claims by telling the truth about AIPAC and the Israel lobby, Omar was being anti-Semitic. This in spite of the fact that Pelosi and the vast majority of US politicians from both parties flock to AIPAC’s annual convention every year in sickening attempts to curry favor with the Israel lobby. AIPAC is not allowed to directly give cash to US politicians. HOWEVER, AIPAC connects money-hungry politicians from both political parties with wealthy deep-pocket individuals who strongly and religiously believe in putting Israel’s interests first, even before and above the interests of the American people the politicians officially represent. One example of this is the Zionist billionaire Sheldon Adelson who donated over $100 million to Republican politicians and causes in 2018. Omar is telling the truth about AIPAC and US politicians. Unfortunately, Omar was pressured into apologizing for telling the truth. We need to take the advice of the Deist Thomas Jefferson regarding the truth. Jefferson wrote, “We are not afraid to follow truth wherever it may lead, nor to tolerate any error so long as reason is left free to combat it.” When it comes to the Israel lobby and US politicians from both parties, reason is not free to combat the lie that US politicians are not bought and paid for by the Israel lobby to put Israel’s interests above the interests of Americans and America. This excessive influence over US politicians the Jewish state of Israel enjoys through its lobby has a very real negative impact on the US and the world. It was essential in causing the Iraq War, which US politicians started for Israel’s benefit. Now US politicians are turning the sights of the US military on to Iran, also for the benefit of the Jewish state of Israel. One very powerful group that is pushing for a US war against Iran is the neoconservative movement. The neocon movement, like Israel itself, is based on the Hebrew Bible/Old Testament. The politicians like to wave the American flag and use selective quotes from America’s founders to give the false impression that they love America and the principles of freedom and liberty promoted in the US Constitution and Bill of Rights. 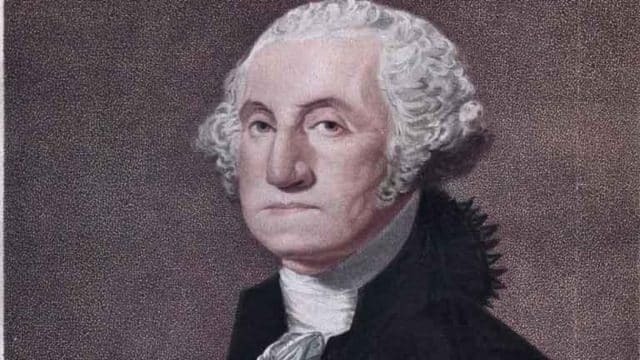 They need to take this advice regarding foreign nations that was given by the Deist George Washington. The dangerous situation the US currently finds itself in, due to the ignoring of this sage advice from Washington, will continue until we take action based on the fact and truth that US interests are different than Israel’s interests. Israel’s interests are motivated by the religious delusions that God chose the Jews “above all people that are upon the face of the Earth” (Deuteronomy 7:6), that God gave a gift of real estate in the Middle East to his chosen people and that God will “set thee (Israel) on high above all nations of the Earth” (Deuteronomy 28:1). The real Deep state, not mention of Sheldon though……. Eleven articles today Feb. 12 on anti semitism on Breitbart. Oh the poor poor victim Jews. We must send them a few more billions of dollars for this horrible indiscretion. They are clearly sending the message to all the other whores in Congress. Vote all of these worthless cowards OUT ASAP. Emergency! She should not have apologized. She should have doubled down. That’s how Trump won, every time he was attacked for his words he doubled down. Weakness is not a good trait of a leader. Agree completely! The truth does not require an apology in real life. I like her honesty! I think Nancy “Israel First” Pelosi is showing her true colors,or whom she is funded by, already a Multi millionaire, why does Nancy have to subjugate herself to Sheldon Adelson, AIPAC , JDL and Israeli Lobbyist? Nancy Pelosi’s first order of business? Give Israel 39 Billion dollars, plus pay for Israeli National Health Care, plus fund Hasbara Cyber Terrorists,pay for Israeli Social Programs and pay for Free University Education to Israeli Students. Her second order of business: make it a crime to question Israel, or the Trillions of dollars the US Taxpayers have given Israel over the last 70 years! And if one brave congressman woman questions this she is called an anti-Semite! It’s enough to make this Veteran want to puke all day! The pathetic Christian Zionist’s who never read the Babylonian Talmud (which is completely is opposition & direct conflict to Christian doctrine) are a sad sack of easily manipulated ignorant canon fodder. Ego, arrogance & false knowledge all played that don’t have a clue. The Jew a made up people living in a made up State of Israel . Yes, Bob, I had just put up a post on another article about her tweet when I suddenly read she had apologized! How sickening. They likely threatened her family or more. Americans better wake up soon or they will suddenly find their country gone with the wind. Boycott everything Israel and everything Canada because Canada has been hi jacked by the thugs in Israel already. All Israeli lobby groups must be forced to register as foreign agents. Congress must provide full disclosure of their private lives or resign period. Citizens must know how Israeli thugs are controlling them.